This blog is part of the "Taking Root" series, which explores some of the many restoration successes happening in communities around the world. Indonesia has some of the largest protected areas in the world. In 2016, these covered 23.2 million hectares (57 million acres), an area almost the size of New Zealand. These areas—made up of national parks, nature reserves and wildlife reserves—are a vital part of Indonesia's environmental conservation strategy, safeguarding the country's rich endemic biodiversity and some of the oldest forests in the world. Despite their official status, a lack of oversight and enforcement of protections leaves these lands vulnerable. The Ministry of Environment and Forestry (MoEF) estimates that ten percent of these lands are degraded due to human-driven pressures such as illegal logging, land clearing by fire, and the spread of pests, disease and invasive species. In response, the MoEF has committed to restore 100,000 hectares of degraded parkland by 2019. Meeting this modest target has been challenging – largely because of a lack of financial resources – but the MoEF has made progress by encouraging an approach that has the support of scientific researchers and conservationists: participatory restoration. Participatory restoration involves forming partnerships with local communities and providing them with avenues to participate in restoration activities. By prioritizing restoration that generates benefits that for communities can receive from restoration, these partnerships create sustainable, long-lasting incentives to restore and protect land. This approach can strengthen the protection of national parks and contribute to the livelihoods of the millions of people who depend on these ecosystems. In Gunung Leuser and Gunung Palang National Parks, participatory restoration has sparked promising results, demonstrating that local livelihoods and conservation can go hand in hand. Located on the northern tip of Sumatra, Gunung Leuser National Park spans one million hectares (2.471 million acres) of intact forest, and is home to endangered Sumatran subspecies of tigers, elephants, orangutans and rhinoceroses. Because of this biodiversity, UNESCO recognizes the park as a World Heritage Site. Nonetheless, Gunung Leuser faces increasing pressure from human activity. More than four million people live in and around the park, and plantation concessions for tree plantations ring its borders. Illicit oil palm and rubber plantations encroach into the park, leading to a deforestation rate of 1,200 hectares (3,000 acres) per year. The communities participating in these activities are mostly made up of recent settlers from other parts of Sumatra who do not have strong ties to the forest. The park office worked with the Orangutan Information Centre and UNESCO on several restoration projects. They conducted key to their success was educational outreach that reinforced local cultural practices tied to conservation and briefed locals on the job opportunities that conservation and restoration bring. More than 200 students from 21 schools in the area participated in an awareness-raising campaign, including a camp where they learned about the endangered Sumatran orangutan. The program also equipped a van with multimedia equipment to disseminate information on how communities can benefit from ecotourism. These joint outreach efforts were so successful that several parcels of land within the park previously used for plantation activities were returned to the park office. 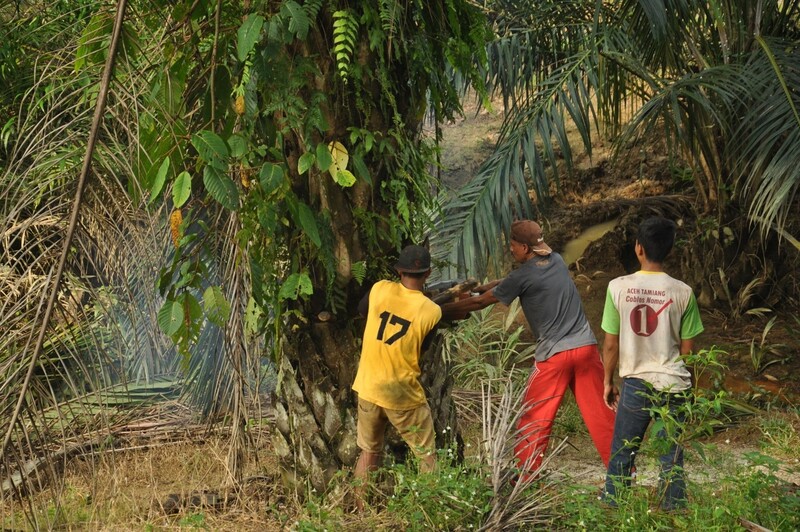 Today, local villagers who used to run the oil palm and rubber plantations in the park nowin these lands nurture seedlings, plant trees and monitor the health of new forest growth. So far, 70 hectares (173 acres) of land have been restored under these projects. And while 70 hectares might seem small, it represents a remarkable turnaround in attitudes and actions. East of Gunung Leuser, on the island of Borneo, lies Gunung Palung National Park. Covering 100,000 hectares (247,000 acres), the park is home to the iconic Bornean orangutan, a critically endangered species and a global priority for conservation. Despite the park's protected status, illegal logging and wildlife poaching persist, threatening critical orangutan habitat. People living along Gunung Palung National Park's borders are mainly poor subsistence farmers. They lack access to affordable medical care because doctors are so few and far between. As a result, when people get sick, family members turn to the park to cut down trees or hunt animals, which they can sell for cash that helps pay for visits to the doctor and medicine. In other words, the forest's health is tied to the health of the communities surrounding it. To address this interaction, the Gunung Palung National Park Office collaborated with Alam Sehat Lestari (ASRI), a local NGO focused on public health. In 2007, ASRI started a program that gave local communities access to ASRI's doctors provided that communities sign a no-logging agreement, while also offering the option to and pay for medical services by participating in restoration activities, such as planting native trees and native other plants. ASRI also provides education on forest conservation and works with the communities to develop alternative livelihoods. They even started an innovative chainsaw buyback program. If a farmer who wants to start their own business or expand their operations turns in the chainsaw they previously used to deforest, ASRI will provide microcredit and mentorship on sustainable agriculture techniques and financial management in exchange. The program has worked so well that the park's deforestation rate dropped almost 90 percent, from 1,800 hectares (4,400 acres) per year in 2012 to 200 hectares (500 acres) per year in 2017. Over the same period, the number of illegal loggers dropped by 70 percent, and species diversity increased. These efforts highlight how important it is to provide communities with restoration opportunities that resolve the local problems that drove forest degradation in the first place. Doing so without addressing the drivers of degradation is not a sustainable solution. Instead, governments and NGOs should assess the context and tailor their restoration interventions accordingly. Community-driven restoration taking place in Gunung Leuser and Gunung Palung shows us how the suite of restoration stakeholders—such as park managers, local communities and NGOs—must come together to restore protected areas in a sustainable manner that creates benefits for both people and nature. As Indonesia ramps up its efforts to protect its forest ecosystems and navigates formalizing a forest restoration commitment to the Bonn Challenge, it would do well to learn from the community partnerships already restoring land throughout the country. 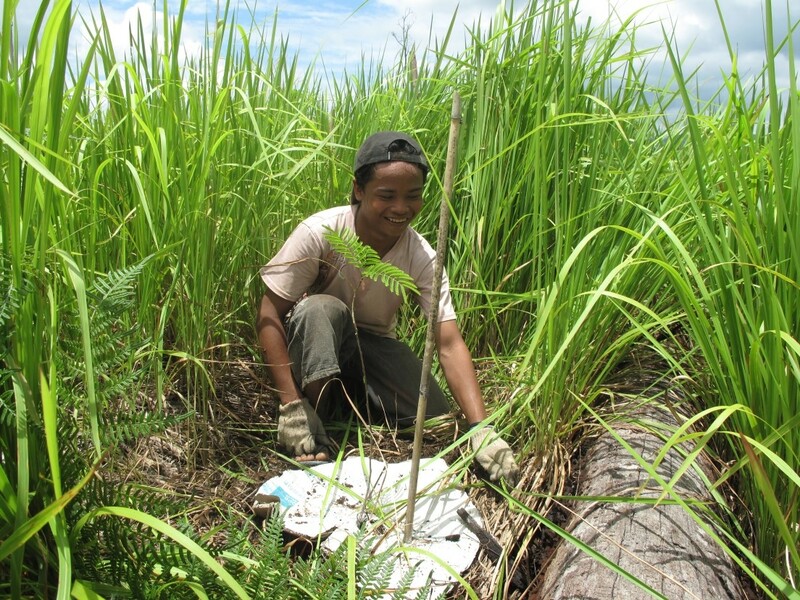 These success stories and more were recently published in the Bahasa Indonesia-language book "Learning from the Field: Successful Participatory Restoration Stories in Indonesia's Protected Areas."